The goal of No-Shave November is to spread awareness. It encourages men to talk about cancer prevention. A web-based, non-profit organization set up in 2009 started this movement. The month of November marks the beginning of fall; the weather feels awesome for so many reasons. Some of you may have been waiting for your much-needed breaks from semester exams or hectic work schedules, while others might be planning vacations for the soothing month of November. And why wouldn’t you want to have fun and look your best when the weather feels so cool. November could mean a lot of things for your ‘fun-filled-moments’ roadmap but it is growingly becoming popular for a surprising but awesome reason; and it’s all about your super cool (or could be super cool?) beard. 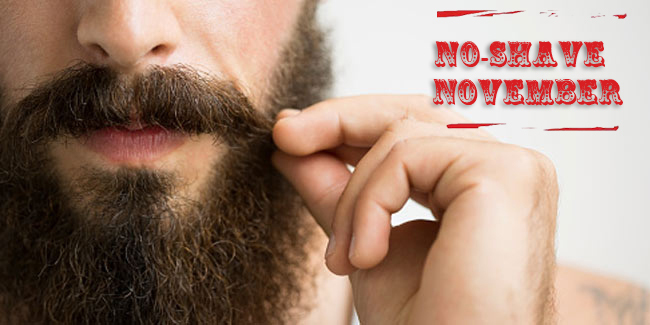 If you still couldn’t figure it out, we are talking about no-shave November. You probably must have heard about it from a friend or read about it on internet, but did you know the reason behind it or why is it celebrated? Some guys do it for the sake of not having to shave for an entire month while only a few men do it for the exact reason it has been started to stir up conversation and raise cancer awareness. The goal of No-Shave November is to spread awareness by embracing hair, which many cancer patients lose due to chemotherapy, and letting it grow wild and free. You can also do your bit by donating the money you typically spend on shaving and grooming to inform about cancer prevention, save lives, and help in fighting the battle with cancer. The idea to encourage men to talk, learn and contribute towards serious men’s health issues like prostate cancer and testicular cancer by cutting down their shaving time, has been started by a web-based, non-profit organization set up in 2009. This is one of the most kept beards of all. You will easily spot few men around you with short beards. It is best for those who can’t grow a full-blown beard. So, if you also fall in the category, sport this one this year. This one here is one of the easiest one to keep. All you have to do is just let your hair grow for 5- 7 days and you will then be ready to rock your stubble growing on you. Long beards sigh! Every man adores them and wishes to have one. The style of beard has got its own swag as it gives you a masculine look. But you would have to start growing it months before November if you want to sport this beard. Besides, it will be your perfect companion to keep your warn during winters. 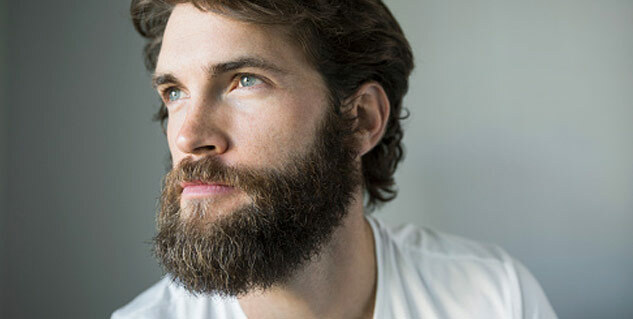 If you have a round face and curly beard, you should go for this stylish piece of beard. Inspired by the Italian Giuseppe Verdi, this beard type needs to be styled appropriately by keeping the edges trim and tidy.